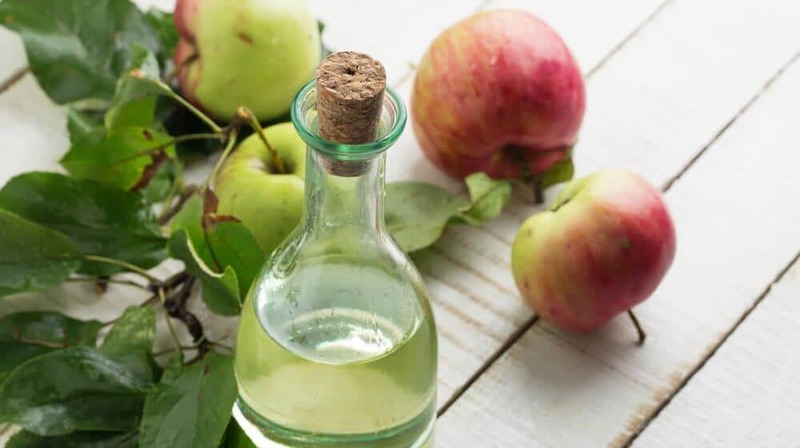 ▷ What Are the Best Substitutions for Apple Cider Vinegar? / What Are the Best Substitutions for Apple Cider Vinegar? What Are the Best Substitutions for Apple Cider Vinegar? By now you are aware of the many exciting health benefits of apple cider vinegar (ACV) as well as its many culinary and practical uses. While many people wouldn’t dream of changing their ACV routine, others may be wondering are there any substitutes for apple cider vinegar? Believe it or not, there are other healthful alternatives to apple cider vinegar as well as substitutions for it in cooking and food preparation. Vinegar in and of itself offers health benefits such as blood sugar control, weight loss and reduction of LDL or "bad cholesterol." However, be aware that there are side effects of vinegar-based solutions so be sure to do your homework and ask your doctor first. That said, here are a few suggestions to try. As discussed, vinegar alone has many health benefits. You can even super-charge it by making your own flavor and nutrient infused versions. Here are a few tasty ideas and their surprising health benefits. Ginger root - known for its spicy flavor. It has a multitude of medicinal and nutritional purposes. It is rich in nutrients like Vitamin B-5, Vitamin B-6, potassium, manganese, copper, and magnesium. It has been used to soothe nerves, anesthetic relief, reduce fever, and for the natural antibacterial properties. Clove - is actually the aromatic flower bud of an evergreen tree. It is a strong digestif that contains Eugenol which helps with the production of hydrochloric acid (HCL) which aids in digestion. It is an excellent source of antioxidants and beta carotene. Cinnamon bark- Cinnamon has the strongest antioxidant strength of any edible substance found in nature. It is an anti-diabetic, anti septic, local anesthetic, and anti-inflammatory. Pomegranate Juice- With its unique flavor and bright aroma pomegranate could combine nicely with acidic vinegar. It is a source rich in antioxidants including powerful polyphenols like tannins and anthocyanins. Pomegranate juice is thought to improve blood flow in patients with heart disease and peripheral vascular disease. Studies have shown that the antioxidants found in pomegranate juice can repair damage to cells which offers protection from a multitude of conditions including cancer. While not technically a vinegar, one drink promises some amazing health benefits. It is the lightly sweet, effervescent, fermented tea drink called Kombucha. With origins in Asian culture, fermented tea has been used for thousands of years to treat a myriad of conditions. Though the mechanism for action is largely unclear, Kombucha is thought to stimulate the immune system. Many animal studies have shown promising results in areas such as wound healing, kidney disease, and general disease prevention. Many users report that the naturally antioxidant rich drink has properties that are anti-aging, increase libido and fight infection. One fact that adds weight to these claims is that the drink contains many thousands of probiotic cultures, which have benefits for digestion, immune system and general health, though it is not clear whether the probiotic benefits survives the gut. This refreshing beverage can be found in most grocery stores and whole food markets or brewed at home. To do so, you must first purchase a K﻿﻿ombucha starter, which is similar to the “mother” found in apple cider vinegar. With its many health benefits and practical uses it is a great idea to keep plenty of apple cider vinegar on hand. Though it is comforting to know that there are several great alternatives with health and taste similarities to our favorite apple cider vinegar. Allen Dunn is a self-described health nut that enjoys researching different ways to improve daily life naturally. He is particularly interested in natural remedies and has written extensively on apple cider vinegar. His writing reflects this and can be found throughout the Organic Daily Post website.